Afcat selection process, AFCAT 01/2019 selection process, AFCAT 02/2018 selection process Flying branch selection process, technical branch, AFCAT ground duty selection. Update: This procedure is updated as per latest notification released by Indian Air Force for AFCAT 01/2019. AFCAT selection process 2019: AFCAT stands for Air Force Common Admission Test is a written exam conducted by Indian Air Force twice every year to induct officers in the IAF. 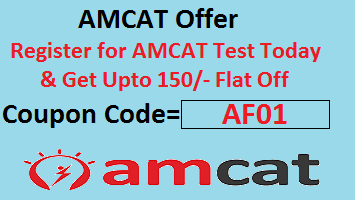 AFCAT is a common entrance exam for various post in IAF. In this article we will discuss the AFCAT selection process thoroughly from the Medical/ Physical Standards to the SSB (Services Selection Board) all phases. 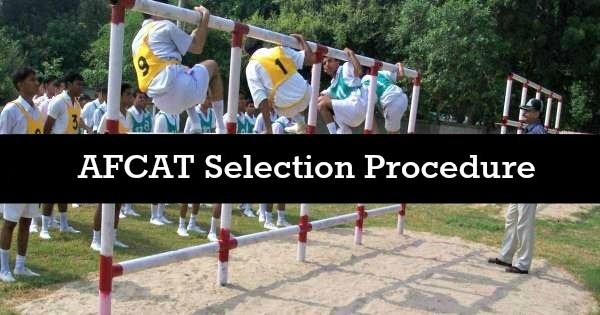 So lets understand the AFCAT selection process. Below is the AFCAT 1 selection process 2019 step wise. We have divided the entirely selection process of AFCAT in different steps (Total 4 steps). All the candidates who are eligible for AFCAT exam and submitted the application form successfully will be called for Air Force Common Admission Test (AFCAT) and Engineering Knowledge Test (EKT) which is being conducted twice in a year. Candidates who clear the written exams (AFCAT and EKT) successfully and get short listed for next round (SSB) will be called at Air Force Selection Boards (AFSCs) at Dehradun, Mysore, Gandhinagar or Varanasi for further testing. All the shortlisted candidates will receive call later to report to any one of the Air Force Selection Boards located at Dehradun, Varanasi, Gandhinagar, Mysore and Kancharapara. Stage 1 is generally called screening test. Stage 1 comprises of Officer Intelligence rating Test, Picture perception and Discussion Test. Once you cleared the Stage 1, You will go through the documents check to ascertain the eligibility for the branch, you applied for. Only the qualified candidates from stage 1 will go to the stage 2. And those who unfortunate to qualify the stage 1 needs to return home on the same day after the announcement of results. All the stage 1 qualified candidates will undergo stage 2 testing for the next three to four days. Day2 : CPSS / PABT * (for Flying Branch) followed by Psychological test will be conducted. Psychological Tests is a written test which is being conducted by a Psychologist. PABT-Pilot Aptitude Battery Test is a unique test which is being conducted for Flying Branch Only. Day 3, Day 4 and Day 5 will be packed with group test and interviews. Accroding to Indian Air Force official website, Group Tests are interactive indoor and outdoor activities which are a combination of mental and physical work. whereas Interview involves a personal conversation with an Interviewing Officer. All the test which is being conducted will be explained to you in detail before they are conducted at the Selection Board. Day 6: sixth day will include Group tests / Interview / Conference. At the Conference held on the last day, all the Assessors i.e. the Psychologist, Ground Testing Officer and the Interviewing Officer, discuss your personality and decide on whether to recommend you or not. Those recommended by the AFSBs will be required to fill up certain documents at the Boards and subsequently move to the next step. Medical Examination will be either at Air Force Central Medical Establishment (AFCME), New Delhi or Institute of Aviation Medicine, Bengaluru. If you have made through all the early steps, We would say you are a genius and true hero no matter you make it finally or not. At final step An All India Merit List will be declared. This list is compiled on the basis of your performance in the written test and AFSB interview, subject to being medically fit. Also the merit list depends on the vacancies available in various branches / sub branches, joining instructions are issued to join one of the Training establishments. That’s all folks, we have covered the AFCAT selection process. In the selection process GD will conduct or not? Dear Manish, Yes after the Written Test Board Will Conduct SSB which will include GD also. In AFCAT all India merit list; weightage of NCC -A grade certificate will be given or not. If yes then how much numbers are given as weightage in list. do they conduct afcat and ekt in one day or two days? Hi arun Height and Weight criteria for AFCAT is , Minimum height : 162.5 cms with correlated weight. Not at all, You need to clear the cut off marks irrespective of how much you score. I have persued my MBA in finance, now I am planning to go for afcat 2 what all the things I need to do now, can please suggest me. I have persued my MBA in finance, coming under this year passed out batch. Now I am planning for afcat 2 2017. Can you please guide me how to possess/proceed. Hi. I’m gayathiri.Is IAF selection process is tough?.Please guide me.And Can last year MSC student apply AFCAT exam?. Sir, I have completed my graduation, but I had atkt in my exams but cleared them already. Plz tell me, am I eligible for the afcat exam. Is selection procedure different for technical and non technical?